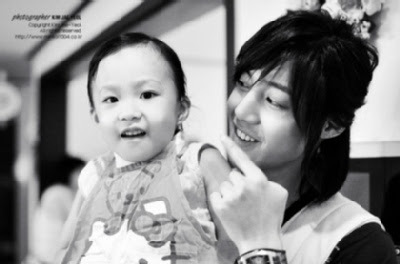 And Hyun Joong's still in Spain for a fashion photo-shoot, having arrived in Barcelona day before yesterday. Oh, a lot of fans...about 80 of them, some coming from France, waited for him at the Airport in Madrid [click here to see the vidz]...but it turned out he went to Barcelona...fans were waiting there for him as well...click here for the vidz [ click here for pix of Leader on the streets of Barcelona that Liezle has just uploaded ! ] . Hmm read some of the fans account from Barcelona...it seems one of Hyun Joong's manager was rough to the fans....slapping fan's hands and running over one fan's foot with the luggage trolley ! 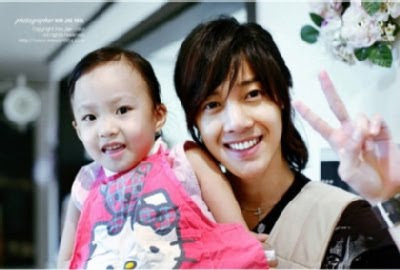 Well, these kind of news really makes me mad and sorry....sorry for HJL who will get a bad name because someone elses actions. Fans are precious and should be treated as such, a star is nothing with out fans ! Hmm...was just discussing this a while ago in Fallen for a Star . 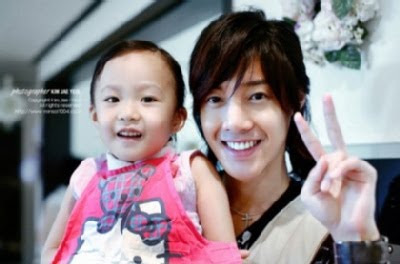 My eyes are beginning to close lol...better get on with it....remember Hyun Joong said he'd like to have 4 children, two boys and two girls ?? he he...let's see how he is with babies and children..
Ok, lets look at the camera ! What's the verdict ?? Will he be a great one do you think ? ?